Come learn, explore and grow at Tully! 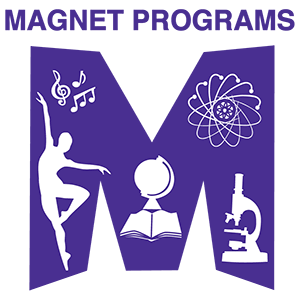 We are the only elementary Gifted and Talented Education magnet school in the district. We believe all students are uniquely gifted. We encourage students to celebrate who they are as individuals. We use a whole-child approach to foster a passion for lifetime learning. Tully Magnet Elementary School’s staff and administrators believe all students are uniquely gifted, and teachers strive to inspire a passion for life-long learning that is nurtured through a whole-child approach. Students are encouraged to celebrate who they are as individuals, while embracing their role in a global society. The Tully GATE Magnet program is a modified Self-Contained Model and provides that all students receive the same instruction and strategies, full time, in a self-contained classroom environment. Teachers work directly with GATE educators and have a positive instructional model. Tully Elementary Magnet School is the district’s only elementary Gifted and Talented Education magnet school. Teachers collaborate and create integrated thematic units using inquiry-based approaches. Students learn to examine broad-based issues through risk-taking, curiosity, imagination and complex challenges. Magnet Students go to Sky School! 1701 W. El Rio Dr.